Want to know more about your birth flower, or the birth flower of a loved one? You've come to the right place! The December flower is Narcissus. Narcissus, also known as the daffodil, is a bulbous plant with tall linear leaves with bright yellow or white flowers and is said to symbolize sweetness and is native to the Mediterranean with some species in Asia to China. In Greek mythology the story of Narcissus explains the origin of the word narcissism. Narcissus was a young hunter who was best known for his attractiveness. Nemesis noticed how proud Narcissus was of the things he did for those who adored him and lured Narcissus to a pool. The reflection of his beauty was too much to for him to take and Narcissus could not pull himself away and in an attempt to get a better look, he fell in and drowned. Narcissism is defined as a fixation with oneself. A second Greek myth tells of Persephone being led to her death by the god Hades while picking a narcissus flower. The flower is considered a symbol of vanity in the West and a symbol of wealth and good fortune in the East. It is also the national flower of the Kurdish culture and symbolizes the Newroz, or New Year and is known as the most popular flower in Germany. An ancient Chinese legend states a poor but good man was blessed with gold and wealth as a result of the flower and it has become a symbol of Chinese New Year simply because is blooms in early spring. It is a symbol of beautiful eyes in Persian literature. 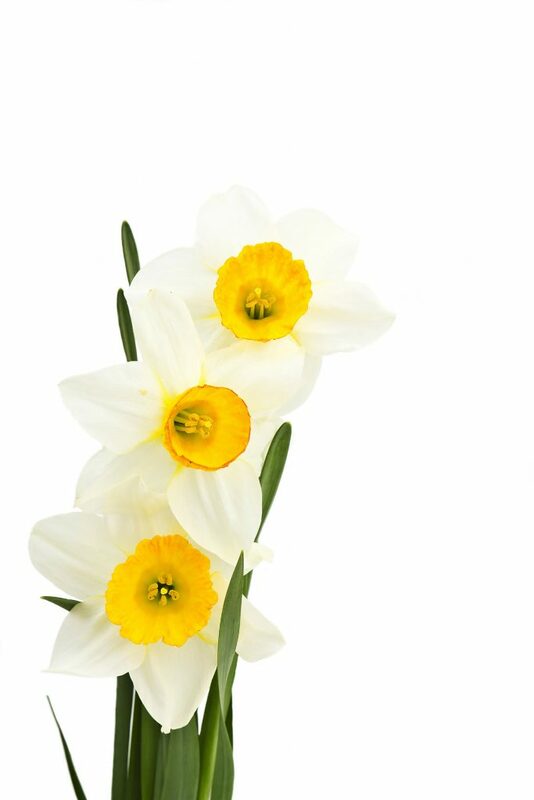 As Greek mythology hints that the narcissus was symbolic with death and loss, Cancer Societies around the world have adopted the daffodil as a symbol of hope. Legends and myths aside, the narcissus word comes from ‘narke’, which is Greek for ‘numbness’ or ‘stupor,’ and Pliny wrote that the narcotic properties of the plant gave it its name ‘vapkaw narkao’ translating to ‘I grow numb’ from the Greek. The flower is native to the Mediterranean with species found in central Asia and China with the most common species found throughout North America arriving from Europe. Early colonists introduced them and they traveled across the continent with early settlers. The flower is cultivated in Holland, Great Britain, the Isles of Sicily and Channel Islands. The alkaloid poison lycorine is contained in all species of narcissus with it primarily located in the bulb, however, the leaves are also toxic. Since the bulbs are often confused with onions, there have been some accidental poisonings. Vomiting and muscular cramps are the common results of ingesting narcissus. In additional to becoming a highly recognized symbol of hope promoted by various cancer societies, the language of flowers also extends to the narcissus. Need to know more about the Daffodil?